In explaining the meaning of Christmas, Justin tackles the problem of evil by examining the massacre of infants ordered by Herod. Think for a moment about what life would have been like in Bethlehem for parents with young children. 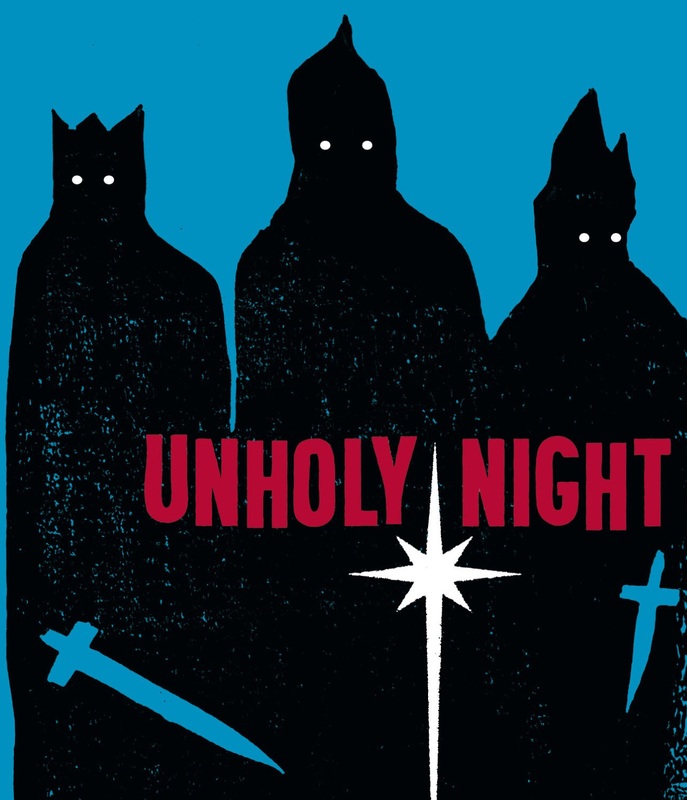 If you have trouble imagining what it might be like, Unholy Night, the mashup by Seth Grahame-Smith (of Abraham Lincoln Vampire Hunter fame) may help. In this book he relates some of the horrors unleashed by Herod. There was a baby in her arms. Naked. Tiny. Held to its mother’s breast as she ran from the horse. The black horse galloped after them with a soldier on its back, his armor clanging around him, his sword drawn. That image should make you recoil. As an aside this was an interesting look at the Christmas story, but this book is not for the squeamish. “Either I’m right,” he continued, “and he doesn’t exist, or you’re right, and he’s the kind of God who watches children die. This is essentially the problem of evil. Why did God allow Herod to massacre infants? As soon as He was born in Bethlehem, as I previously remarked, king Herod, having learned from the Arabian Magi about Him, made a plot to put Him to death, and by God’s command Joseph took Him with Mary and departed into Egypt. For the Father had decreed that He whom He had begotten should be put to death, but not before He had grown to manhood, and proclaimed the word which proceeded from Him. But if any of you say to us, Could not God rather have put Herod to death? Could He not have at once created a multitude of men? But yet, since He knew that it would be good, He created both angels and men free to do that which is righteous, and He appointed periods of time during which He knew it would be good for them to have the exercise of free-will; and because He likewise knew it would be good, He made general and particular judgments; each one’s freedom of will, however, being guarded. For Justin evil actions are committed because God gives man (and angels) the gift of free will. God in working out His own plans insures that He acts in ways that preserve these free will choices. That may include withholding His power to prevent evil choices that He foreknows will occur. Justin later in this work (chapters 140-142) argues that those who crucified Jesus cannot escape the guilt they deserve using the excuse that God had planned for the event to occur, as Trypho proposes. Again the reason that the wicked are responsible for their actions is because they were freely committed. Justin concludes reminding Trypho that the guilt and future punishment need not remain because the Messiah’s First Advent is good news for all the people. All who accept the gift of salvation (through faith and repentance) shall benefit and be blessed. This entry was posted in Theology and tagged Christmas, determinism, election, foreknowledge, free will, Justin Martyr, patristics, philosophy by MikeB (@AnAgileJedi). Bookmark the permalink.